Congratulations to Sonexis, a Compunetix brand, on their 2018 JITC Certification for the ConferenceManager2 platform! The ConferenceManager2 solution is an integrated audio conferencing platform which has been certified by the Defense Information Systems Agency (DISA) Joint Interoperability Test Command (JITC) Certification testing and is listed on the Department of Defense (DOD) Unified Capabilities Approved Products Listing Accreditation. This communication system is a state-of-the art audio conferencing platform engineered to deliver a highly secure, comprehensive, audio conferencing solution for operationally demanding environments. The system is compatible with all APL-listed voice switches and offers unmatched operational flexibility supporting ad-hoc and scheduled conferences as well as pre-set blast dial sessions. First given JITC Certification in May of 2011, the ConferenceManager2 has since delivered as secure conferencing solution to several government organizations of all branches across the nation. 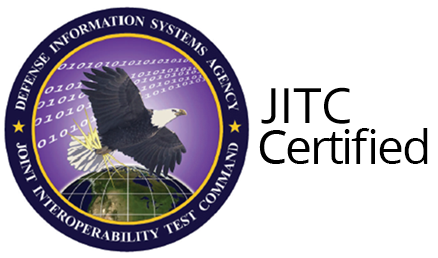 Building upon success, Compunetix and Sonexis have received certification for our latest JITC ConferenceManager2 on DISA’s Approved Products List through the year 2021. We are both proud and excited to keep the JITC-Certified ConferenceManager2 on the market and continue to deliver superior security and reliability.